Think the Kiwi rallies are over? This NZD/USD 4-hour forex chart reveals that the pair just encountered resistance right at the .8400 major psychological level. It has yet to fill that weekend gap but, with stochastic moving down from the overbought zone, there’s a good chance that NZD/USD could head south as well. If that happens, it might test support near the .8275 levels or possibly move all the way down to those lows around .8100. Here’s another weekend gap that’s just getting filled! 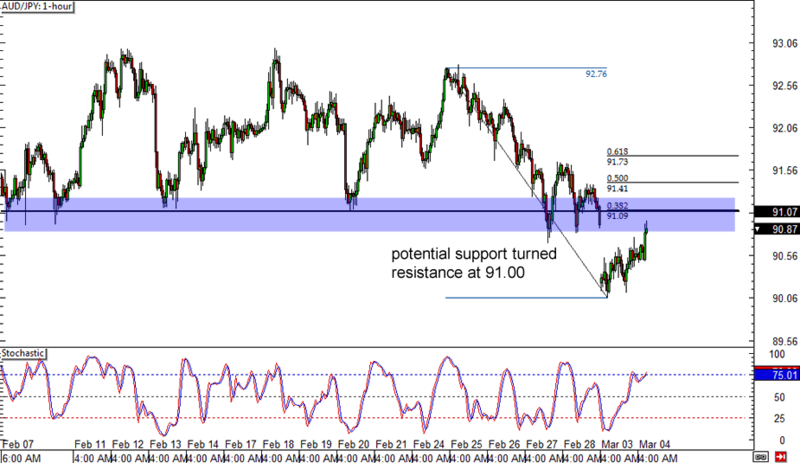 AUD/JPY bounced off the 90.00 major psychological support zone and looks ready for a quick retracement to the 38.2% Fib. This lines up with a broken support area, which might act as resistance from now on. 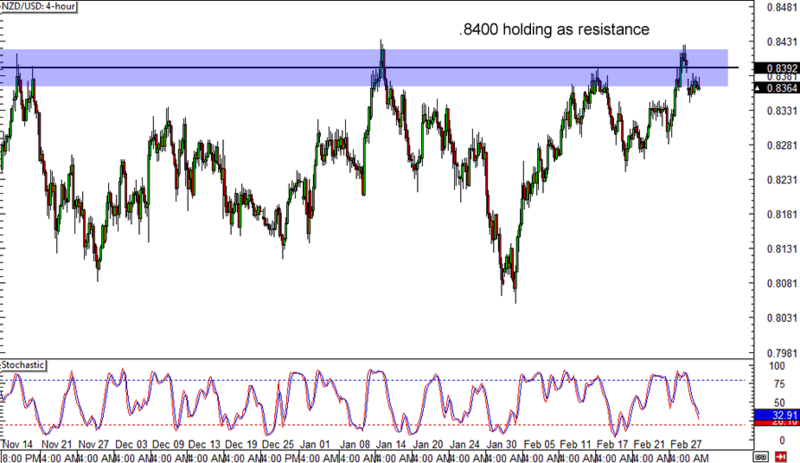 At the same time, stochastic is almost in the overbought zone and that means Aussie bears are just waiting to pounce! If you dig break-and-retest setups, then here’s another one for you! 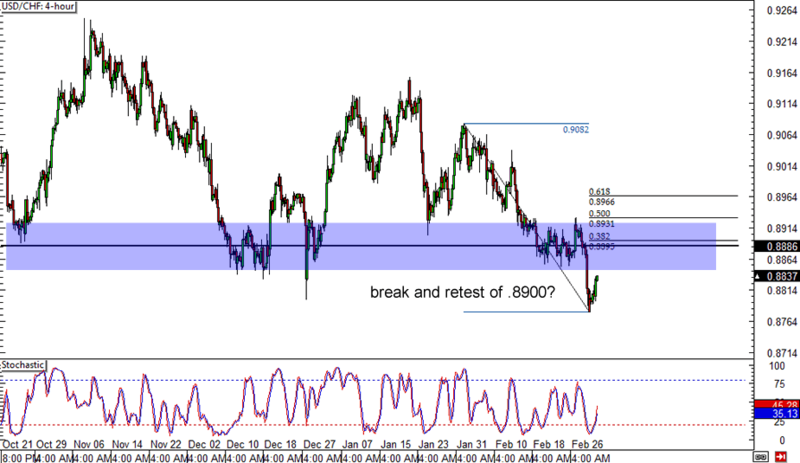 USD/CHF recently breached a major long-term support area somewhere around the .8900 to .9000 major psychological levels. It dove below the .8800 mark but it might need to pull up for some air, possibly sparking a retracement to the .8900 broken support. Stochastic is climbing out of the oversold zone, which suggests that bulls are in control at the moment.